Arnold Schwarzenegger has always been a proponent of physical fitness, and he is taking that to a whole new level by disguising himself to help regular people at the gym. 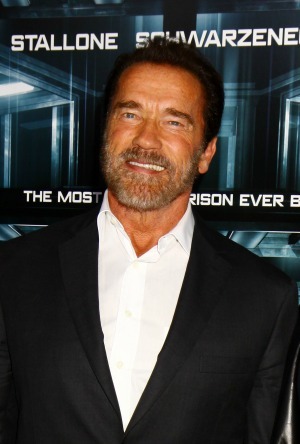 Arnold Schwarzenegger has been known as many things, but a trickster isn’t often one of them. The former Terminator decided to don a disguise and help some Gold’s Gym members get fit. The actor played a gym instructor at a neighborhood Gold’s Gym, attempting to help local members with their workouts. “Basically I am going to play Howard, a physical fitness instructor who has become a regional manager for Gold’s Gym,” he said. Schwarzenegger signed on to help the After School All-Stars program, a group whose mission is to keep kids safe after school. The program has been in existence for 20 years and Schwarzenegger is doing what he can to bring awareness. During the video, the actor not only acts as a fitness instructor, but he tricks some of the Gold’s Gym members, including one who he talks into doing “reps” of her water drinking. “Stop being a baby. This is Gold’s Gym, not a baby gym,” he told another. A couple of the patrons did seem to recognize him, but considering his size and accent, you would think that number would have been many, many more. Schwarzenegger has always put exercise first, and talked to Esquire back in 2012 about his work ethic and what happened when he decided on a career in bodybuilding. Schwarzenegger’s chosen career led him into bigger and better things, and now he is in a place where he can help others. Besides his good will at the Gold’s Gym, Schwarzenegger has been staying busy with many projects. He will appear in numerous films in the next couple of years, including Terminator: Genesis and The Expendables 3.